Planning a trip to Rome? Need some quick answers? Below are the main questions we had before our first visit. How many days do I need to see Rome? How to plan your time in Rome? Should I choose an apartment or a hotel in Rome? 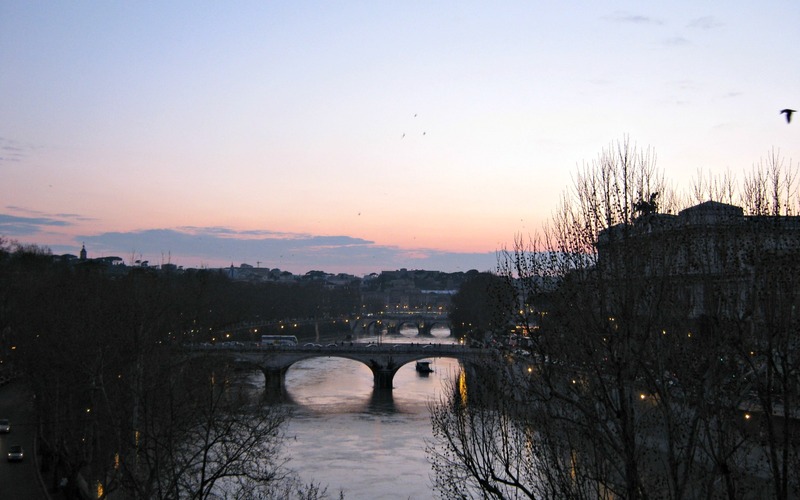 Which are the best areas for renting an apartment in Rome? 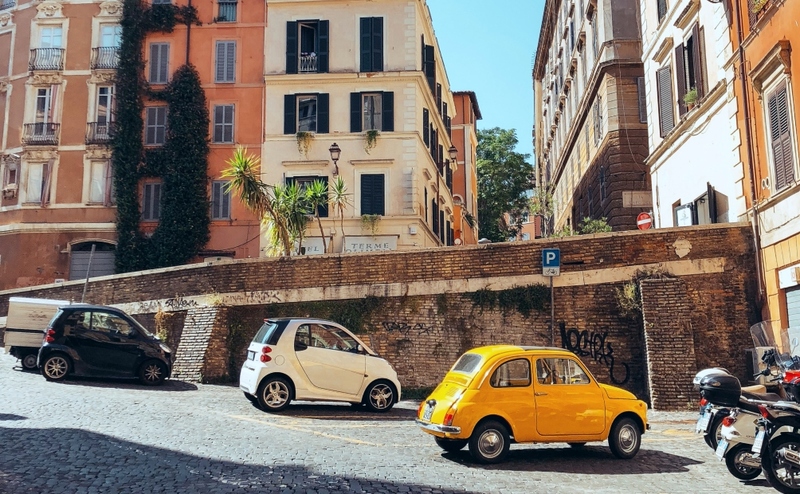 Should I rent a car in Rome? Are there any sites in Rome that are essential to book in advance? Should you buy a Rome Sightseeing Pass? 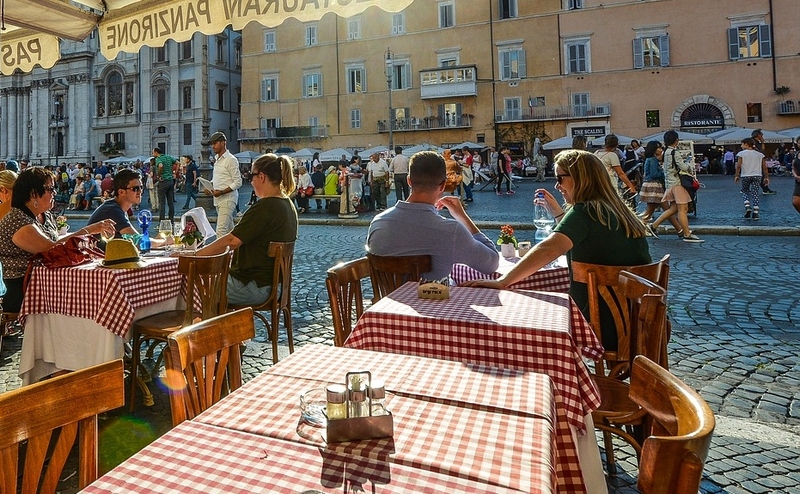 Are private tours of Rome worth it? Five great websites to help you plan your visit. On our first visit to Italy we spent five fabulous days exploring Rome as part of a longer two-month European vacation which was many months in the making. On this page we have consolidated all the tips we think will help you plan your own great visit. Along with a rough outline of how to spend five days in this amazing city, we have shared the best advice we received, much of it gleaned from a good friend who spent sevearl years working in the city. We highlight the things that really worked for us and for our extended family who have also put these tips to the test. We visit Italy regularly as we have famliy in a neighbouring country so we hope you find this page helpful in planning your own short holiday in the eternal city. If you want to enjoy your time in Rome and not come away complaining about the queues or the heat then visiting in March or April would be my recommendation. Be sure to steer clear of Easter as crowds flock to the Vatican to celebrate the holiest days of the year for Catholics and prices rise accordingly! Visiting in early March means you will usually get low season prices on accommodation and the queues in most attractions will be manageable. The weather is a little on the cold side, you will need a coat and scarf in the mornings, but it does warm up as the day progresses. The other key time to avoid is June and July. The summer months are often very hot and large numbers of visitors from the USA and Europe hit the city during their long. school vacation periods. Lines for everything from attractions to cafes get incredibly long and you need to pre-book most things to make sure you don't miss out. As an added bonus on top of the large crowds, August can be sweltering, and many hotels are not air-conditioned. If March or April don't work for you, then I would plan your visit for September or October. We have visited at both these times and found the city very comfortable. 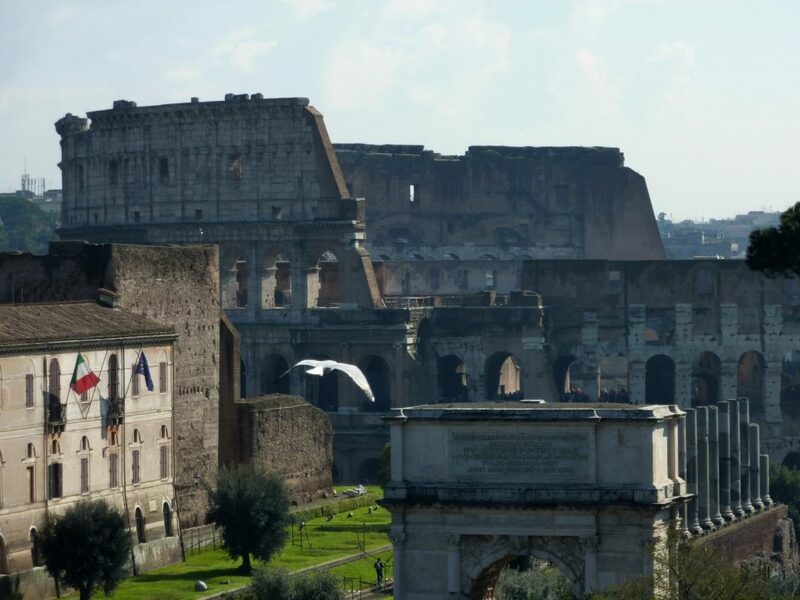 Tip: On the first Sunday of the month the Colosseum, Palantine and Forum have free admission. One the last Sunday of the month the Vatican offers the same. Do not visit this area on these days unless you are really broke. It is just too crowded. A question I asked myself many times while I was in the planning stages of our first trip to Italy. Lots of people manage to see the main sites in Rome in two or three days and it is possible, however I would not recommend it. I think at a minimum you need one day for the main ancient sites, another for St Peters and the Vatican museums and a third to explore the fountains, food and street life of the city. Three days would be my minimum and four days would mean you could comfortably cover most of the things in the top 10 things to do in Rome lists. Five days was perfect for us as we had 22 hours travelling to get there and could not hit the ground running. We spent the first day just walking around looking up at all the lovely balconies like the one above with the camera snapping madly, I really think it is important not to overshedule your time in Rome. Leave time to just absorb. One of my favourite afternoons was spent visiting deli's and markets and buying the provisions for a dinner at home. 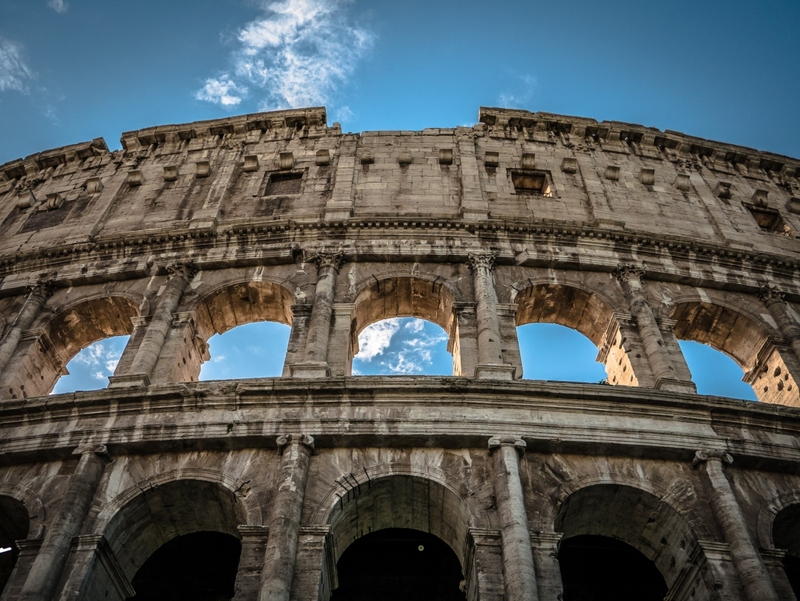 You need to think about Rome like the ancient Romans and "Divide and Conquer." By dividing your days into zones, it all becomes much easier, and you don't spend too much time rushing about or backtracking. Your days can more easily flow, and you are more likely to uncover your own hidden gems. We went with the following for our 5 days. Take a free walking tour to get your bearings and then stroll the main fountains and piazzas. Eat Gelato and order your first coffee. Tour of the Colosseum complex which include Palatine Hill and the Roman Forum. 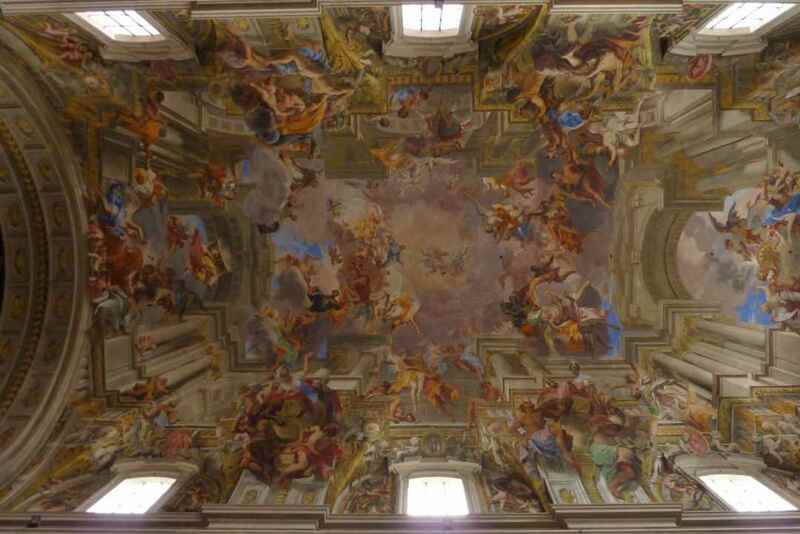 Spend half a day at the Vatican Museum and St Peters Basillica and the afternoon eating! Avoid Wed morning when it is closed. Explore Trastevere - visit the pretty back streets. Lots of great food and a fun Sunday flea market. Afternoon the Capitaline Museum. On your last day specialize, i.e., Art - Borghese Gallery & Museum or History - Ostia Antica or Tivoli. My biggest tip is to avoid the temptation to over plan. Allow yourself time to stop for coffee and gelato. Just eating ice cream in Rome is exciting so why rush about and miss just absorbing those moments. Check out we covered in our five days in Rome. For short visits a hotel in the historic centre is usually a good choice. It will save you time travelling to key sites and you can spend your mornings and evenings strolling the pretty squares and piazzas. If you are going to visit Rome for more than 3 days then an apartment can be a good idea. It gives you a chance to hit the local markets and deli's and cook up a storm with great fresh ingredients. 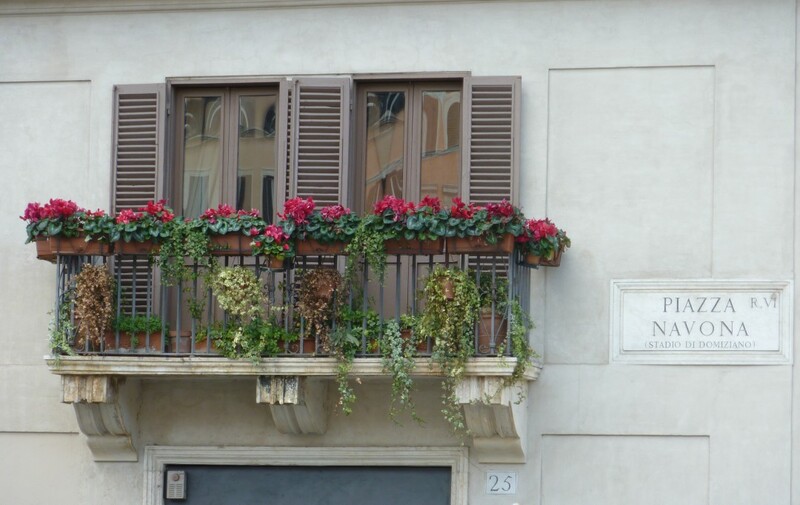 There are some great apartments in Rome, and we managed to find a fantastic one just opposite the Tiber and a short walk from Castel St Angelo and the Pantheon. We spent each evening with vino and olives taking in the view above. Renting apartments can be hit and miss but if you do your research and check travel forums like Tripadvisor, Fodors and Frommers for company reviews (and real photos) you should be okay. I prefer to use agencies that have offices in the city I am visiting so that I can phone and speak to a real person if there are any difficulties. Use your instincts if something looks too cheap or sounds too good to be true chances are it is. I discovered this apartment in a post of Fodors, the poster had linked to photos on his Facebook page, and I felt quite confident he was a real person so had no concerns booking. Pantheon - The centre of the historic area it's a great choice if you want to walk almost everywhere. The downside is that much of the food is aimed at tourists and not great quality so be prepared to go outside the area for dinner if food is important to you. 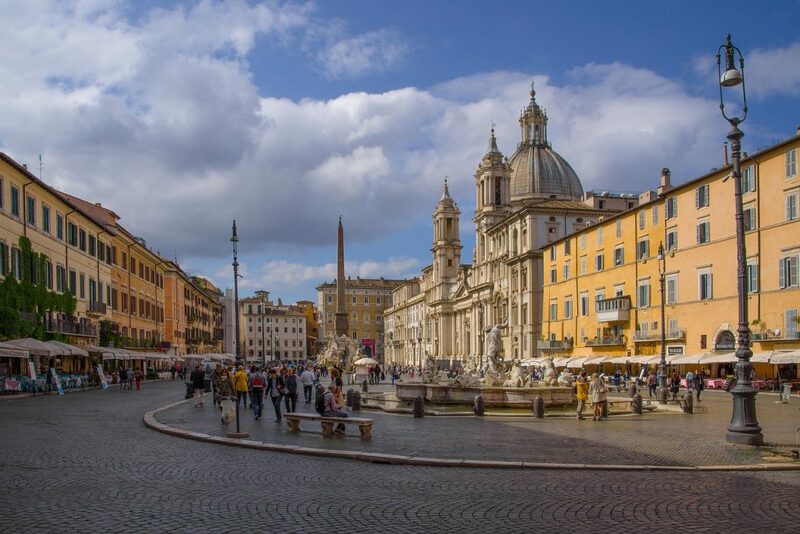 Piazza Navona and Campo de' Fiori - Good spots for people watching, cafes and restaurants and easy to reach most of the main sites. This is the part of the city that most people imagine when they think of Rome. Monti - The ancient cities red light district this part of the city is a great choice for foodies with lots of great restaurants and cafes. 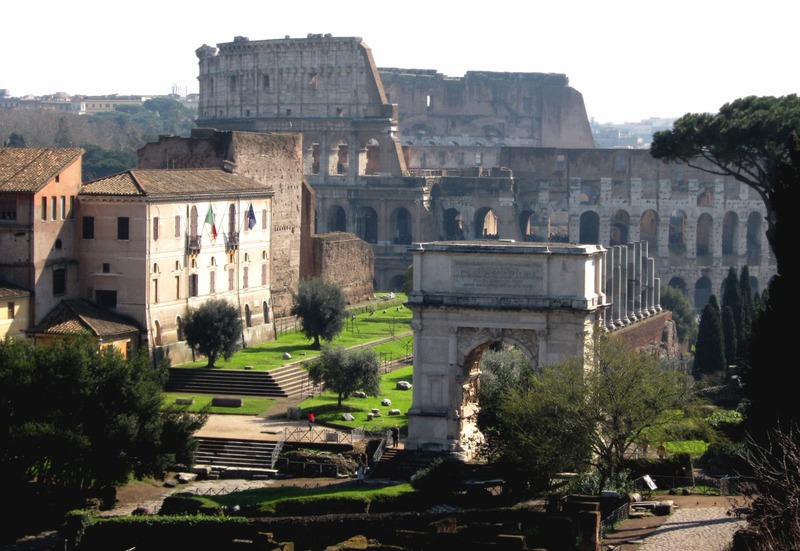 It's also an easy walk to the ancient sites like the Roman Forum and Colosseum. Termini - lots of budget hotels but not a very picturesque part of the city and only really worthwhile for flying visits. It's not near any of the main sites and has no charm. I would not stay here. Vatican - This area did not really appeal to us, it is very quiet in the evening and other than being close to the Vatican I could not see any benefit. There are good transport connections so if you find a great apartment for a good price you could consider it. Just be aware there not much happening after dark. Trastevere - This is a very pretty part of the city and a great spot if you like dining out and being near bars and cafes. It's a lovely spot to walk around in the early morning and late afternoon. If you don't want to be in the centre of the tourist action then this would be my choice. We rented in a great spot overlooking the river near Castel St Angelo which was close to Piazza Navona and we really liked the area. It was very walkable, everything was in reach except the Colosseum - that was a little too far. There is no way we could have got a view like the one above from a hotel in our price bracket. We used local buses to reach Palatine Hill and the Colosseum. Everywhere else we walked. Check out this detailed article on using Rome's transport system before you go. Depending on the time of year you visit it can make sense to buy some of your attraction tickets in advance. On our March/April and October visits we found the queues to be managable in most places. In peak periods like May-September and around Easter and Christmas I would recommend that you consider buying skip the line tickets to the two main sites, the Colossuem complex (which includes the Roman Forum) and the Vatican Museum, in advance as the lines can be really quite ridiculous. I recommend that if you are planning to visit the Borghese Gallery that you book this in advance, like the Last Supper in Milan this one does book out in advance. Only 360 people are permitted to be in the gallery at a time so as you can imagine this books out quickly. This can be booked 60 days in advance but if you miss out on that window take a look at the tickets on Get your Guide as they still often have guided tours available. There are several passes available and it you are planning to visit more than a couple of attractions then these are worth your time investigating. It's hard to give a blanket yes to any specific pass as it really comes down to your exact needs and itinerary. Besides specifically saving you dollars these passes often include the right to “skip-the-line” allowing you to save hours in ticket queues. Children under 18 years are admitted free to most museums in Rome so I would not recommend buying a pass for them. 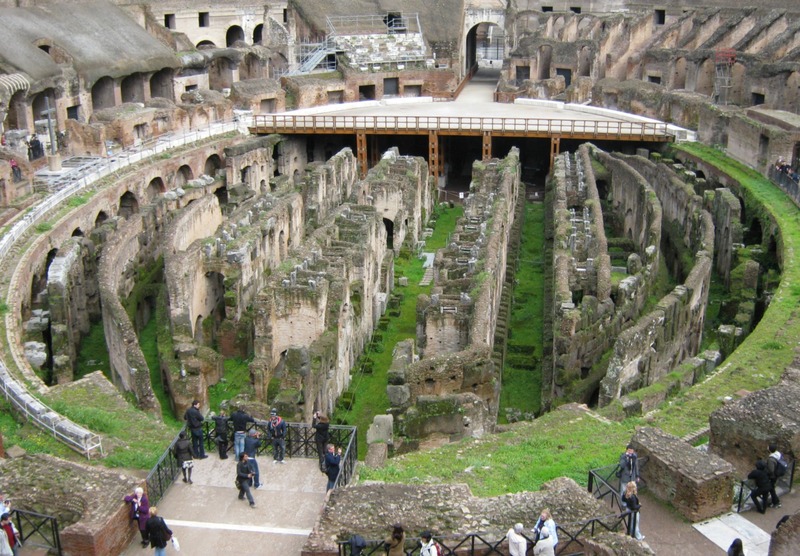 We believe the Roma Pass is the best value pass in Rome for anyone who is considering visiting 3 of the sites covered. This is the city's official pass and at under €40 for 72 hours with free entry to 2 attractions and unlimited public transport it is hard to beat. Entry to 45+ other attractions is at a reduced rate (15 to 50% OFF). The pass is issued for a number of hours and not a number of days which is good because you can start it at lunchtime on day one and it last for a set number of hours from then. The 72 hour pass is worth very cent if you are spending 3 or more days in the city. It includes entry to two key sites plus unlimited three day train,bus,tram travel in the city circle. Besides possibly saving money on transport for us this just saved the stress of worry which ticket we needed and the process of paying each time we changed bus etc. Along with this, the pass allows you to skip the line at the Collseum and Castel St Angelo. The main negative some people find with this pass is that it only provides a small discount (15%) for the HOHO bus but for us that was not an issue because Rome is one city where the HOHO bus struggles to get around the city traffic and it not the best use of your time or money in our opinion. The Roma pass does not include tickets to the Vatcian but it is signicfantly cheaper than passes that do and if you are visiting the Colseuim (and Roman Forum) and one other site such as the Capitaline Museum or Galleria Borghese you will save money. This pass is more expensive but it does includes free entry (and skip the line) to Vatican Museums & Sistine Chapel. The pass also comes with a free downloadable audio guide for St Peter’s. To this you can add free entry to two other big attractions like the Colessuem complex, Capitoline Museums, Borghese Gallery and Castel Sant’Angelo. It also include unlimited use of the Roma Cristiana hop-on-hop-off bus if that is important to you. If seeing a lot in a short time is important than money on your visit then this is a good pass to consider. Depending on the options you choose, you can save over €40 with this pass. Check the current pricing of the Omnia Vatican and Rome card. You can also buy the card on Viator. Buying tickets and planning your visit to the Vatican feels overwhealming when you start reading travel forums. They are full of questions from people fretting about the best way to visit the museum, the best tickets to buy and deciding if they should book a guided tour. 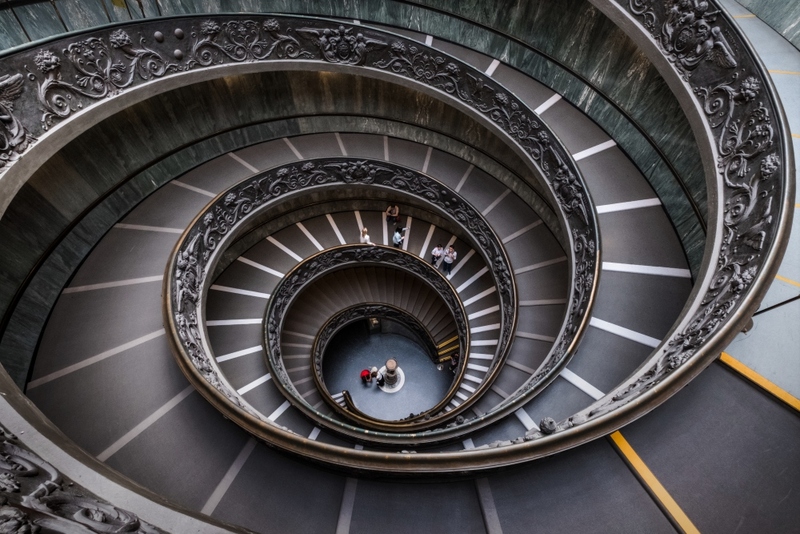 This is understandable, for a start, the Vatican Museum site is made up of 9 different museums, the Sistine Chapel and various other galleries. Feeling overwhealmed is the reason many people opt to take a guided tour. We decided against it and I was glad we did because many of the tour groups we saw where so large I wondered how anyone could follow or see the guide properly. If you are keen to do one of these I suggest you choose a small group tour. The museum is closed on Sundays and as a consquence Saturday and Mondays are the busiest days to visit. I would avoid these completely unless you have no alternative. If you do have to visit on one of these days then definately consider an early bird ticket and tour or this Viator tour that offers first entry of the day. When we went in March it was suggested to us by a local friend, that we visit in the afternoon at after 1 pm. This advice turned out to be perfect; there was no queue at all. We just strolled right in. Once inside the crowds were also quite manageable so I guess the lesson here is that sometimes the early bird does not catch the worm! Arriving an hour or two earlier would have resulted in an entirely different scenario. The one mistake we made was not to map out the entry to the museum, and we headed right for St Peters Square only to have to walk all the way around the outside of the Vatican to entry the museum. The collection in this museum is amazing; I had been seriously considering not going here because it seemed too hard. What was I thinking? How long should you allow for your visit to the Vatican Museum? You need at least 2 and a half hours here, it takes at least 30 mins of walking to reach the entry to the Sistine Chapel. We spend half a day here and that worked perfectly for us. If you are interested in exploring everything on offer then you might want to allow a full day. We went from the Sistine Chapel out the secret back door to St Peter's as suggested in many forums and this was great advice. It saved us lots of time, and we did not have to queue again to get into St Peters. It did however mean we missed some of the galleries but we felt it was a good compromise. We arrived at St Peter's Basicllia at about 4 pm the sun was streaming in the windows at the side of the altar. The main thing to be aware of is that if you take this shortcut you will miss the beautiful spiral staircase above that features so heavily on Instagram. On our second visit we made sure to include it. I think they can be it really depends on your level of interest. Our daughter was out of school for three months on our first visit and should have been studying ancient Rome in class while we were away. We heard about a tour guide who was a history teacher and booked a private tour so she could absorb as much as possible. I found our guide after reading his blog Ron in Rome. I asked him to pitch the day at a 12-year-old level, and it was incredible, easily our best day in Italy. He really brought the city to life. Sadly Ron no longer lives in Rome. If a personal guide is not for you get hold of a good basic guidebook like Rick Steve's Rome city guide and follow his self-guided walks. Get your guide offers several private tours of Rome in their range that are well priced and worth considering. There are sevearl options including airport buses and private or group transfers however we went for the express train and found it an easy process. This train is a non-stop service between FCO and Rome Termini, the cities main station. The trip takes just over 30 minutes and trains run from approx 6.30 am till 11pm. The route to the airport train station is well signposted so you sould not worry in advance about finding it. The red ticket machines are also easy to use and have intstructions in English Tickets for this train cost €14 per person over 12 years. One child under 12 years can travel for free with each paying adult. Kids under 4 years are free. Tip: this service is guaranteed during public transportation strikes. There is also a suburban train that may work better for you if you are staying near its main city centre stop Trastevere. This train takes a similar amount of time and cost €8. If you are staying in the area around the Pantheon it is just as cheap to take a taxi from here as Termini. The airport buses are the cheapest way to reach Termini and the city centre from the airport. You can purchase tickets in advance. They cost €6 in advance and €7 on arrival. The benefit of this bus is that it is closer to the arrivals gate so not as far to haul your luggage. They also have a stop at Piazza Cavour for the Vatican City before they head to Rome Termini Station. If you are staying near Vatcian city this would be the best choice I think. Shared airport transfer vans can actually be cheaper than the express train. This service takes a maximum of 8 people and includes a meet and great for under €12. The average time for these trips is about 45 minutes. Private transfers are also available. For groups of 4 of more Taxis may be cheaper than the train. They operate on a fixed price of €48. Visit the Rome Airport website for maps and more details. If you find like us you arrive in the city at 7am, several hours before you can check into your apartment then I suggest you consider using one of the cities handy luggage storage services. This will free you up to enjoy the city for a few hours instead of waiting in a cafe like we did the first time we visited. Of course if you are in a hotel then will generally hold your luggage for you until check in time. Tip: If anyone offers to help you with your luggage, even if they are in what appears to be a uniform say no thanks. It is highly unlikely they are doing it for any reason other than to take advantage of you. Like any city full of world class tourist attractions find good restaurants and bars in Rome is a bit hit and miss. We probably had more misses than hits but we found that when it came to meal times were were too tired to put too much effort into hunting down places our friends had recommended. In view of this I am just going to share some general advice and suggest you perhaps do some more detailed reserach once you have chosen your accommodation. I actually do things the other way round now. We do our food research, map out the things we really hope to try and then choose accommodation located nearby the areas where these spots are clustered. Pick the brains of some locals, if you don't know any ask you hotel or apartment owner for recommendations. Don't eat near the big sites and attractions, the old try not to eat at places that has the menu in 5 languages. I used these sites extensively when planning out time in Rome. Absolutely everything you could ever wish to know about travelling by train anywhere in the world. 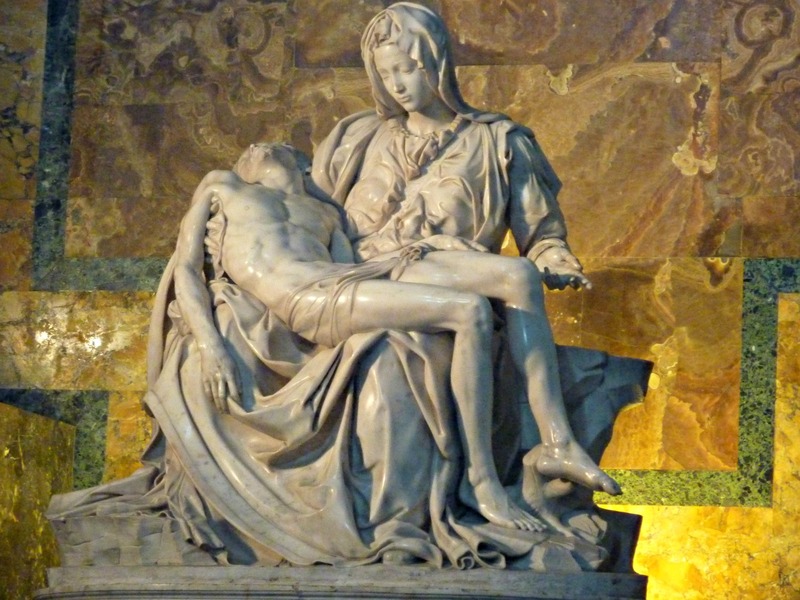 This link is specifically for the Italy pages. If you are trying to decide between 1st and 2nd class this site includes images of the various types of trains and classes. Armed with advice from the Man in Seat 61 take the time to get the hang of this site and save yourself $$$ on expensive booking agents like RailEurope. This site was not much use when I used it in the early days, but it has had an overhaul and is much easier to use. With everything from current weather to themed itineraries and public transport info bookmark this site now. The event's page is helpful for checking current exhibitions around town and also cross checking for any huge events that might blow out hotel and accommodation pricing. When we travel food is a central theme, being close to good dining areas is usually how we choose where to stay. This blog has some great tips on where and what to eat. They also offer tours (I have not taken one so can't comment on these). Full of lots of insider tips the site is the work of an award-winning travel writer who lived in Rome for 4 years. I especially liked the pages on museums and art. I think Rome is one of those cities that you enjoy more if you know something of its history. Sure it's amazing just to look at but the more you understand about how things worked and who the main leaders were the more meaningful everything becomes. If reading is not your thing, then this show offers another way to get up to speed on Roman history. Be warned though it is R rated and contains too much violence and adult themes for young viewers. It's drama, so obviously, there is some debate over how accurate it is but if you know little, it's a great place to begin. This guide if full of history and background facts about all the main attractions along with lots of time and money saving tips. Be sure to have a recent edition because while the attractions have been there for centuries rules and practicalities about visiting them seem to change quite often. An oldie but a goodie. Great details, easy to use with useful transport information. Well worth its price if you are spending a week in Rome. If you are travelling with your kids these treasure hunt style books help to keep them really engaged both when you are out and about and when you need to rest in a cafe for a while. Have you been to Rome? How many days do you think you need to see the city? Previous Post Where to eat in Penang Next Post Do you need to rent a car when you visit Penang?